Winter is a difficult time for me physically, mentally and emotionally, so I try to find ways to challenge myself. In the past I could challenge the physical elements of snow and ice by just getting out there, shoveling, sledding, driving, photographing, whatever. Now I still try to do those things, but less than before because I have more physical challenges than in the past. Challenges that limit us can weaken us mentally and emotionally. To strengthen myself I’ve given myself other positive challenges, like yoga. Since I started attending classes last October, I’ve been able to gradually, very gradually, build strength and health physically, mentally and emotionally. It has not been easy and my class attendance was not always consistent for the first couple months, but I have persisted. Now I’m attending classes twice a week and beginning to practice at home as well. One thing that helped me with my yoga practice was following a beginners yoga challenge on yogajournal.com. I received daily written inspiration on will power, and a weekly video of yoga practice. It was quick, easy, motivational and free. In March I will be starting a new challenge, and I invite you to join me if you wish. 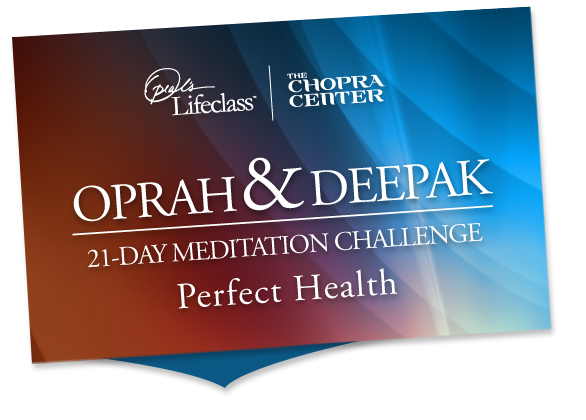 It is a free 21 day meditation course sponsored by Deepak Chopra and Oprah Winfrey. I know that sounds kind of commercial, but it looks like it could be valuable. Of course, if you’re already a meditation master maybe you don’t need it. But if you are looking for some guidance to start meditating, some ideas on improving your mental or physical health, or just a little inspiration, then why not try it? It can’t hurt, it’s free, and it’s completely accessible at your own time, location, pace and comfort level. Thanks. Who couldn’t use a little nudge of inspiration and motivation this time of year?